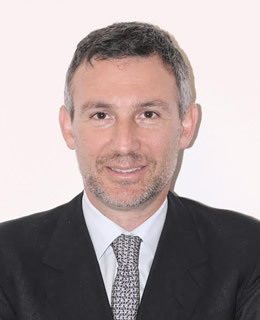 Alessandro Danovi is Associate Professor of Management at the University of Bergamo, Department of Management, Economics and Quantitative Methods since 2006, where he also serves as the director of postgraduate Master in Management of Crisis and Restructuring (University of Bergamo Business School). In addition, he is also a contract Professor of “Crisis and Turnaround Management” at Bocconi University of Milan. He was a visiting professor at the Université Jean Moulin Lyon III and Université Lumière Lyon II seminars on crisis topics in 2009-2010. Alessandro serves as the Director of the Research Centre “Osservatorio Crisi e Risanamento delle Imprese- OCRI”, a joint venture between Bergamo University Elab, Bocconi University and several other universities. He is a member of the Scientific Committee of the Italian chapter of the Turnaround Management Association (TMA), chairman of the scientific committee of the Associazione dei professionisti del Risanamento Aziendale (APRI), coordinator of the Gruppo di Studio e Attenzione (GSA) on “Principles of crisis management”, established within the Italian Academy of Business Administration (AIDEA), which drafted the Italian “Attestation” Standards, member of the Chartered Accountants CNDCEC Committee for the reform of the insolvency law and for evaluation of distressed companies, director of IRTOP, Journal of Investor Relations, and member of the Scientific Committee of the Journal Management delle Utilities, of the Italian Turnaround Monitor (TAM) promoted by the University LIUC of Castellanza and of some postgraduate Masters in various universities.